Dr. Susan Lieff has dedicated her career to advancing medical education and leadership. She is a globally recognized leader in faculty development and has made significant contributions to the field of geriatric psychiatry. Her colleagues and students value her as an exceptional teacher, clinician, scholar and mentor. Words used to describe Dr. Lieff include “motivating”, “remarkable” and “a role model educator”. Her contributions to advancing medical education and academic leadership span the spectrum of education – from curriculum design and evaluation, faculty leadership and career development, academic leadership and teaching. Dr. Lieff, Education Scholars Program, Centre for Faculty Development, St Michael's Hospital and the Faculty of Medicine, University of Toronto. Dr. Lieff led the design of the Association of Academic Psychiatry Master Educator Certificate program, a three-year educational workshop series for academic psychiatrists, and served as its director for five years. In 2000, she became the founding Chairperson of the American Association of Geriatric Psychiatry (AAGP) Teaching and Training Committee and created the AAGP Training Directors Group. Informed by her expertise in outcomes-based education she led the Training Directors Group to create the first geriatric psychiatry competency framework to meet the United States Accreditation Council of Graduate Medical Education requirements. These were adopted in 2004 by the American Board of Psychiatry and Neurology to inform assessment strategies for certification. Recognizing the emerging importance of interprofessionalism in medical education, Dr. Lieff developed the Education Scholars Program – an innovative faculty training program at the University of Toronto in 2004. The award-winning program supports development of scholarly health science education leaders, and an interprofessional and cross-departmental community of practice. It is the largest and most comprehensive program of its type worldwide. 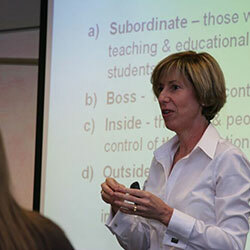 More recently, she led the creation of the New and Evolving Academic Leaders (NEAL) program. This novel program utilizes an adaptive design to continuously meet participant needs and the changing environment. To date it has trained more than 100 academic leaders in the health sciences from across the country and beyond. Dr. Lieff was the Founding Chair for the Geriatric Psychiatry Subspecialty Examination at the Royal College. Both the exam committee and program are recognized as an exemplar of a national exam development process, resulting in a high quality and comprehensive exam that is rated highly by participants. Dr. Lieff has been recognized for her significant contributions with multiple awards including University of Toronto President’s Teaching Award, the Association of Faculties of Medicine in Canada Award for Outstanding Contribution to Faculty Development in Canada, the Association of Academic Psychiatry Educator Award, the Baycrest Stephen W. Herbert Award for Excellence in Education and AAGP Educator of the Year. Her commitment to patient care resulted in Dr. Lieff being recognized by her peers as one of the Best doctors in Canada in 2007 . Many of her students attribute their own success to Dr. Lieff’s leadership and mentorship in teaching and curriculum development. "I am deeply honoured to be selected for the Duncan Graham Award. As an educator, my joy comes from enabling the capability and career development of my peers throughout the continuum of education. I am grateful to my wonderful and inspirational colleagues and the privilege to learn from and collaborate with many of them in these shared endeavours." 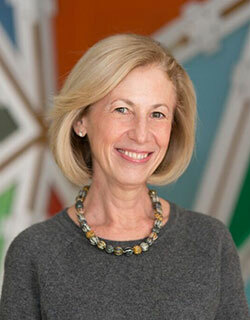 Dr. Susan Lieff.